Remember trick or treating as a kid? Walking from house to house on those chilly October 31st nights. You were freezing, but the promise of candy at the next house was more than enticing enough to keep you walking. You would stay out until long after the sun went down. Keeping a watchful eye out for all the houses with porch lights on. 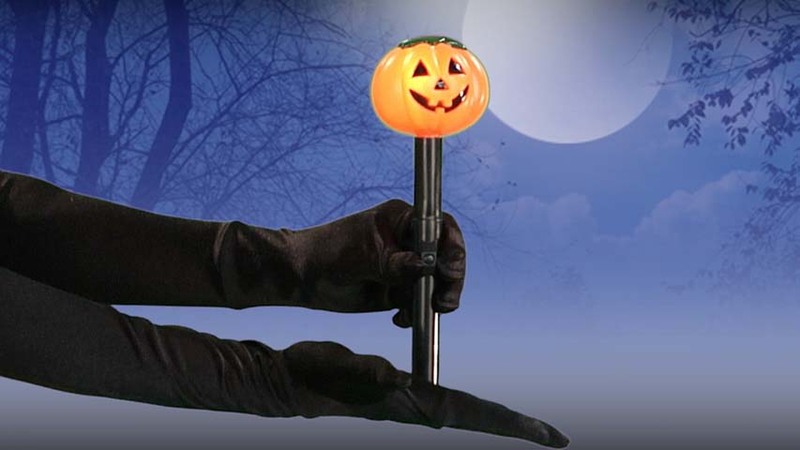 Your parents handed you a pumpkin flashlight so you wouldn't get hit by cars on the road. Now a days we tend to just go trick or treating with our kids. Still, we worry about them, wanting to see where they are at all times. This Pumpkin Flashlight makes it easy to keep track of your little monster in a brew of other little monsters, princesses and superheroes. 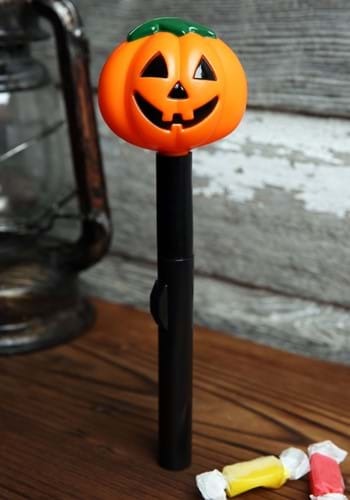 So let this Halloween be a little less stressful, besides, your kids are sure to love the adorable jack-o-lantern faced flashlight as they walk from house to house on October 31st.